An essential in any dapper chaps’ capsule collection the Loake Foley men’s derby shoes are available in tan or black leather with contrasting blue laces and hole-punched detailing. The uppers of these sophisticated shoes are crafted from premium leather that make them look on-trend while providing durability. 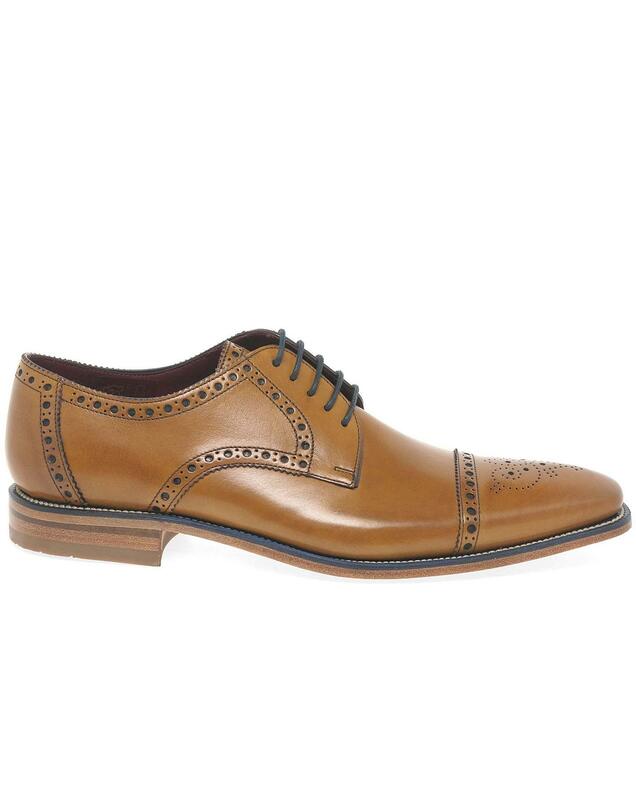 The Loake Foley are kept securely fastened by smart laces and feature a grip granting sole underfoot. These shoes are an F width fitting and feature leather linings for added comfort and support during wear.